Organic photovoltaics (OPV) have been theoretically studied within the usual parameters: open circuit voltage (Voc), short circuit current (Jsc), and fill factor (FF). The first two refer mostly to electronic properties, whereas the last contains all other possible contributions to cell efficiency, importantly including molecular geometrical and topological structures, both within a single molecule as amongst a system of molecules. In order to study the effects of molecular morphology of the heterostructures used in OPVs, molecular dynamic simulations (MDS) are imperative, and therefore parameterization of force fields to account for the description of planarity between aromatic rings, both intra- and inter-molecules, is of key importance. In this work, we present quantum mechanical analysis of geometry for the ground, and singlet and triplet excited states, of two simple prototypical molecules used to parametrize the corresponding force-fields. Central for this parameterization is the assignment of local charges within molecules; we studied and compared six different methods to assign atomic charges. 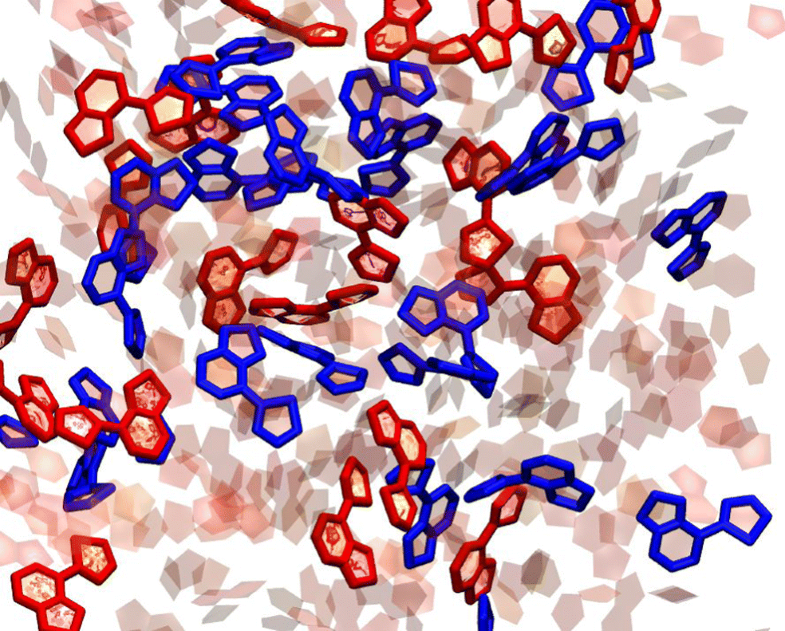 With the parameters obtained, we performed molecular dynamics simulations of nanosystems of these molecules. Planarity effects and comparison between different methods for deriving atomic charges are investigated. 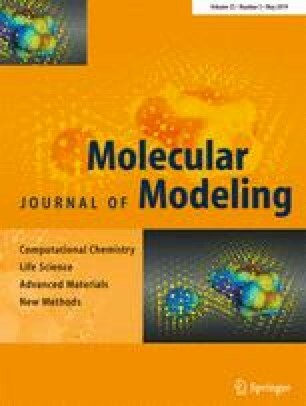 These results can be applied in future MDS to interpret and characterize charge-transfer models in molecules suitable for OPV design. The online version of this article ( https://doi.org/10.1007/s00894-019-3984-9) contains supplementary material, which is available to authorized users. The authors thank DGTIC-UNAM for computational resources provided under projects SC16-1-IG-37 and LANCAD-UNAM-DGTIC-022. A. F. M.-V. thanks CONACyT for graduate fellowship. This research was funded by CONACyT-SENER-Fondo de Sustentabilidad Energética under project 245754.